Royal railings are manufactured from heavy duty wrought iron style components for a premium appearance. Available in a choice of sizes and finial options to suit your preferences they are superb value for money. Sorry this product is currently out of stock. 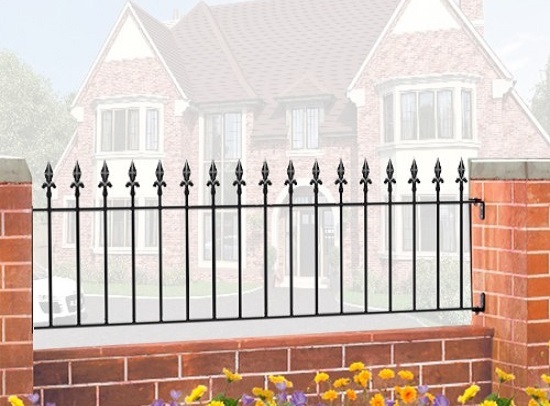 The Royal Railings feature a heavy duty wrought iron style construction and as a result offer the highest levels of aesthetic appeal and structural integrity of all our designs. Simple in appearance each railing is manufactured to an exacting finish using solid steel components and as such offer superior levels of strength, rigidity and durability. 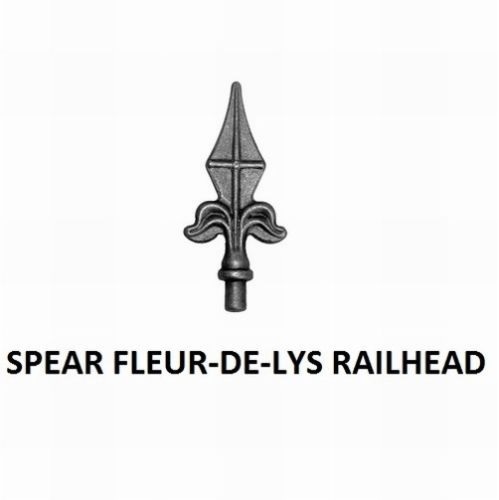 Available order online in a choice of sizes with the option of fleur de lys or ball top finials they are the perfect match for our Royal gate designs or where a premium quality product is required at a competitive price. Suitable for a variety of applications where additional security or aesthetic appeal is required. High quality construction for years of security and aesthetic benefits. 40mm x 10mm flat bar frames and 16mm solid steel infill bars. 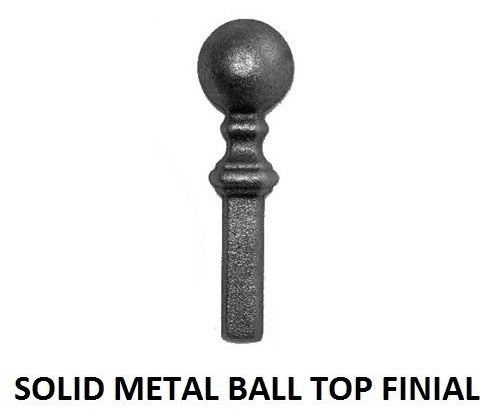 Choose between ball top or fleur de lys finials to suit your preferences. Railings are supplied with easy to install surface mounted fixing brackets (compatible with existing masonry walls/pillars, timber or metal posts). Black primer/undercoat (all metal surfaces must be painted prior to installation) – contact us for pre finished railing prices. Available in 3 standard size options (a made to measure service is available). Select the width required from the menu above. The sizes represent the opening into which the railings will fit. We have already made an allowance for the space needed for the fittings. Need Help Ordering Premium Royal Metal Railings Online? If you are unsure what to order or have a question to ask about the Royal railing design please feel free to get in touch with us today by phone, email or enquiry form and will be on hand to offer support. Can`t find the right size to suit your requirements? Learn more about our made to measure sizes below. You can also find out lots of useful information online if you refer to some of the pages we have detailed below. 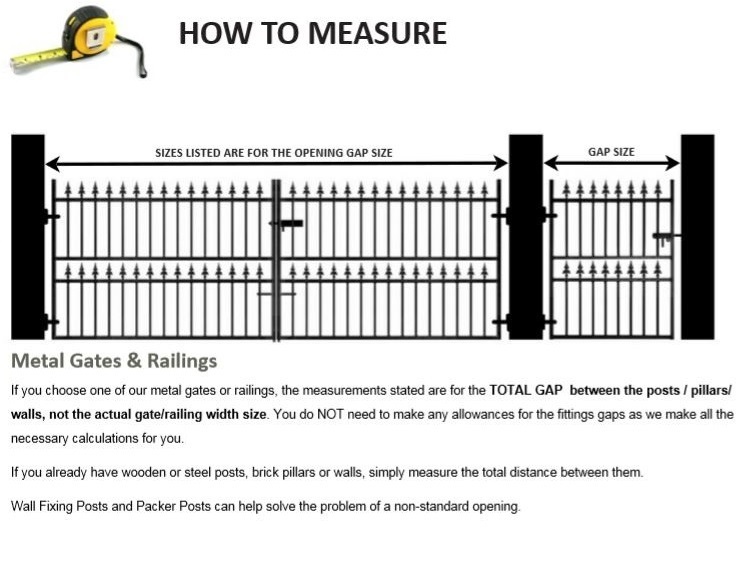 For more information on the items shown above please get in touch to discuss the best option to suit your railing installation.